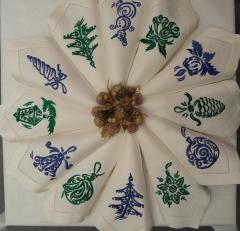 This picture shows macro plan of pretty interior decoration. 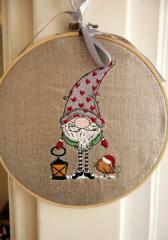 It is textile circle embellished by bows and portrait of funny little dwarf who is waiving you with his hand. 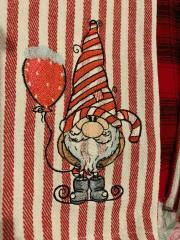 It is Gnome in red phrygian cap and boots embroidery design. 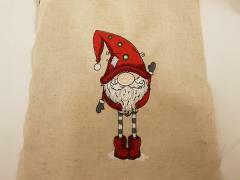 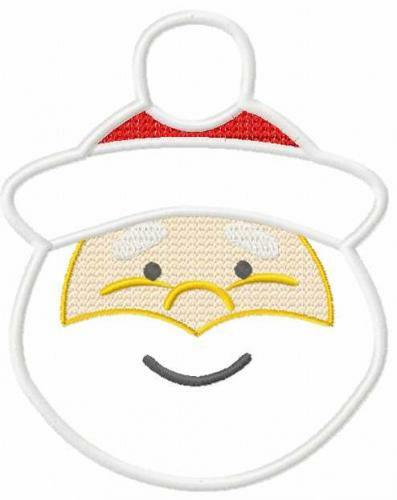 This embroidery sample is very good to make original hand made textile souvenirs for Christmas and New Year holidays. 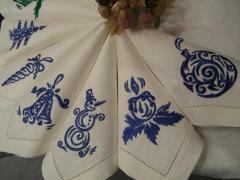 This is bright embroidery sample executed on cotton striped fabric. 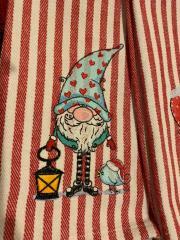 Kimberly Jo Hollady, author of this work piece, used Gnome in phrygian cap with hearts holding lantern embroidery design for this work piece. 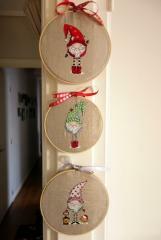 It is portrait of two funny creations waiting for Christmas. 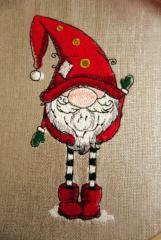 They are dwarf with fluffy beard and little bird near his feet. 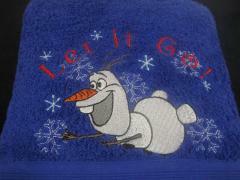 They both wear well known Santa’s caps. 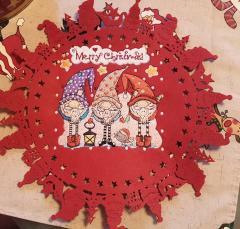 This is pretty Christmas souvenir prepared by Pendant la sieste to be placed on wall to embellish house for holiday. 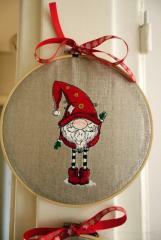 It is made from rough natural material put in wooden hoop and decorated by little bow. 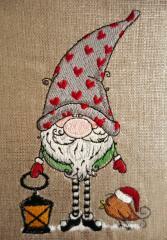 This work piece is added by Gnome in polka dot phrygian cap and boots embroidery design. 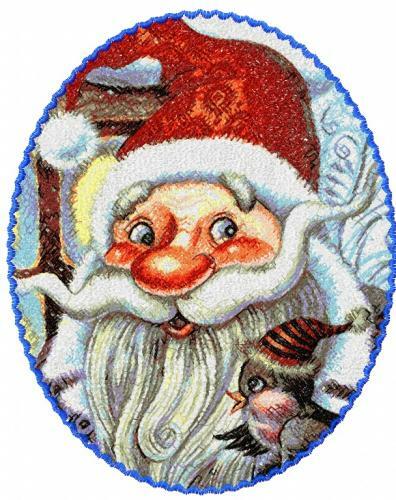 You may create come of them to create merry good mood for all your family members.